"I have always loved the wilderness and I spend a lot of time in nature walking through beautiful areas. My time and experience at Bergplaas made me realise that all along I had been a spectator of the beauty in front of me, rather than a part of it. The visit to- and learnings at Bergplaas now allow me to feel a part of nature, which heightens the experience and also makes me aware of the delicate symbiosis we are all part of. It is a beautiful gift that I will always carry with me." 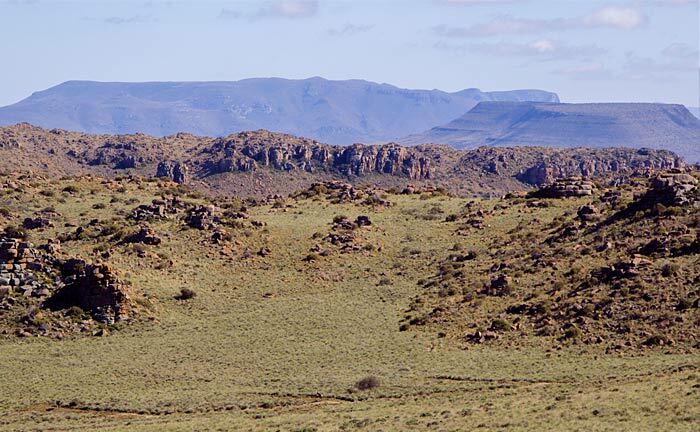 The 5000-hectare Bergplaas Nature Reserve neighbours the iconic Compassberg in the Sneeuberg Mountains of the Great Karoo. Its altitude ranges from 1400m to 1800m and it serves as a key water catchment for the Karoo and the Eastern Cape. Originally comprising three livestock farms, the internal fences and livestock were removed, and the wildlife that historically roamed this area was reintroduced. Gazetted as a Protected Area - Nature Reserve status through Eastern Cape Parks and Tourism Agency, through their Biodiversity Stewardship Programme. Bergplaas has a population of approximately 900 large mammals, including Eland, Kudu, Red Hartebeest, Plains Zebra, Springbuck and Black Wildebeest. Approximately 25 small mammals have been recorded in the region. Small carnivores include Caracal, Black-backed Jackal, Small-spotted Genet, Bat-eared Fox, African Clawless Otter and the Cape-, Grey- and Marsh Mongoose. There are 133 bird species in the region, including the Secretary Bird, Black Harrier, Lanner Falcon and Blue Crane. 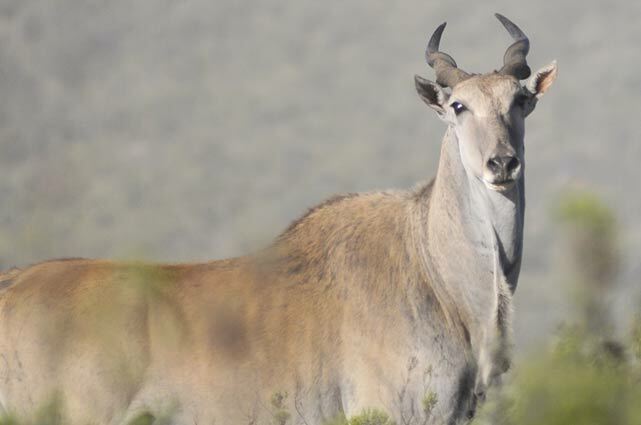 The eland, Africa’s largest antelope, is indigenous to Bergplaas and the Sneeuberg. It appears in many KhoiSan paintings because it holds a powerful place in the culture of South Africa’s first people who regarded it as a source of supernatural power. It contains large quantities of fat, used as a balm to make journeys between this world and the spirit world. It was also used to heal people, make rain, promote social harmony and ward off evil influences. When Princess Irene invested in Bergplaas in 1998, she spent extended periods alone on the reserve. She walked the land, climbed the mountains and explored the streams. “It brought me back to my own silence and connectedness with the natural world,” she explains. From within this silence she contemplated the contribution she felt called upon to make in this world. In 2006 the Spirit of the Wild Programme was thus conceived.